Do you often run out of ideas or find it hard to buy presents for your children or other people’s children? No worries as Wicked Uncle is brilliant for this and here to help. It is a gift website that stocks interesting and unusual children’s presents. They are essentially a present service for birthdays, Christmas and other occasions. The website is easy to navigate. You can shop by gender of the child, age or categories. It will show you a range of toys that should suit that child. It allows you to easily find gifts for girls who are science mad or boys who like crafty things, and it allows you to search by areas of interest like creative, outdoorsy things etc. There is also an option to just search ALL so you can see all the cool items they stock. As it is Ms C’s birthday in May, I browsed for aged 7 and for girls. It showed me a range of fun and unusual gift ideas for her that I would not have thought of. I am very pleased with the choices. It has loads of games, toys, play kits and puzzles that all offer something a bit different. 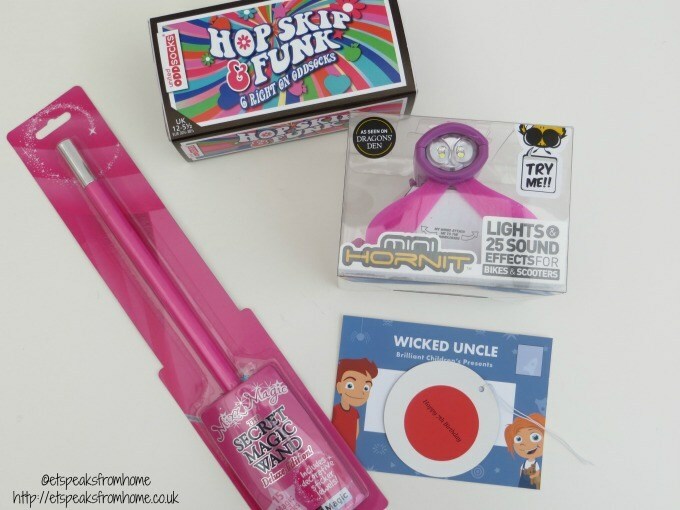 This is a fantastic selection of gifts that will stretch the child’s imagination. There are a mix of quality brands like Interplay, Marvin’s Magic, Meccano, etc. and the prices are reasonable. If you were given a choice, who would not want to design your own swimsuit? 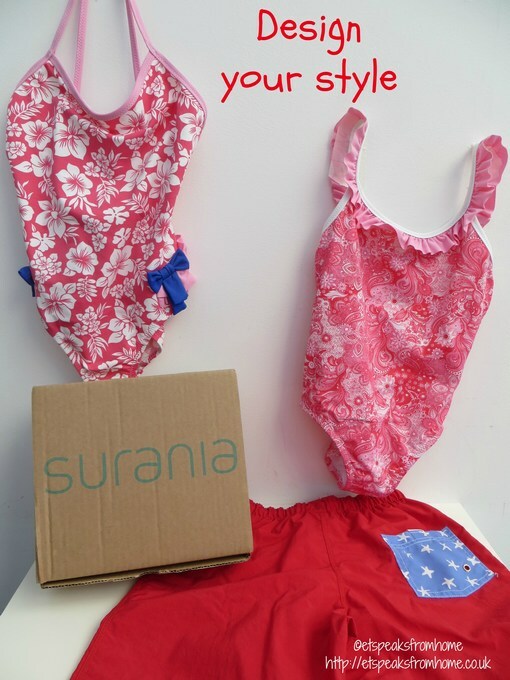 Both of my children were so excited to get to pick what they wanted for their swimming costumes from Surania website. This is my first time I’ve come across the concept of design your own swimwear and I think it’s a great idea. It is great to have the opportunity to wear something custom made so that there is less chances for us to be wearing the same swimwear at the swimming pool or beach. Calling all International Rescue fans. Do you want to learn how to decode and set yourself a mission a week with Thunderbirds to earn badges? Simply log onto www.thunderbirds.com and create your own username. Mr K has called himself the SonicJetpack19 while Ms C called herself SupersonicArmour58. Once you have registered and got your certificate, it’s time to start working towards getting your badges! Want to save money by cutting the cost of entertaining the kids this summer? Have you heard of Meerkat Movies? Do you know that every Tuesday and Wednesday, Meerkat Movies offer their customers, 2 for 1 cinema tickets which is available exclusively through comparethemarket.com? There are so many new family movies on general release now and coming soon including The Minions, Pixels, Inside Out and Jurassic World. With six long weeks to entertain your children, why not take this up now to take full advantage of the savings every single week! We love online shopping as it is the best way to avoid crowds and moaning children. In our experience children and shopping never mix well. Shopping online means we are able to have some additional time over the weekend to do more activities. Shopping online ‘under one roof’ proves that it is not hard at all! 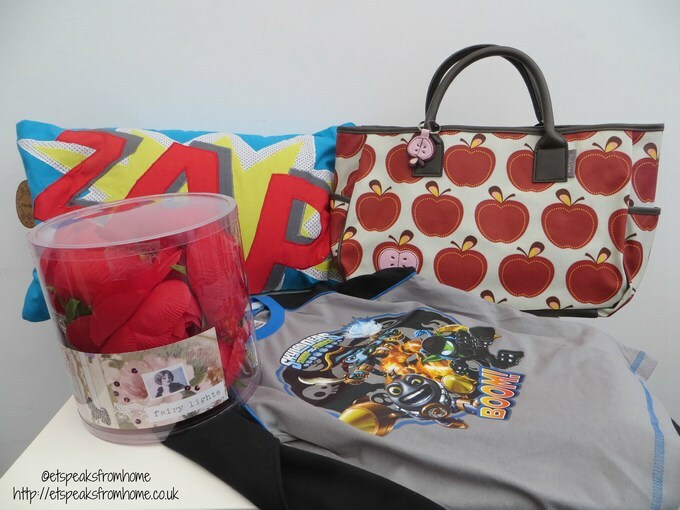 Recently, I came across Flamingo Gift who sell a range of unique gifts online from home items to clothing for children. If you’re anything like me, you’ll shudder at the very thought of dealing with important financial matters. Yes, it has to be done. And yes, it’s a hugely important part of managing family life. But that doesn’t mean I have to enjoy it. Recently, Mr C and I have been thinking about our finances – we’re considering making a couple of big purchases and we’ve been looking into all the options out there for us. A friend of mine suggested that I tried a free credit report from Experian CreditExpert – so that’s exactly what I did. We all know that facing your credit score head on can be a scary task, but I can honestly say that it was a simple, straightforward, enlightening process (and nowhere near as scary as it sounds, I promise!). Online shopping is sometimes so much easier to do than to pop into the shop and find that the items you want are out of stock or the shop is closed! Nowadays, you can get almost anything online from groceries, clothing, electricals and even cars! An online pharmacy is one of those that I had not tried before. Chemist Direct provides over 20,000 health, pharmacy, beauty and prescription products online. Their range of products includes medicines, pharmacy, pets, vitamin supplement and many others. Shopping online is always available 24/7 which is very convenient for busy families. This December, I am thrilled to partner with Games Quest. Games Quest is an online game store who are not just limited to games but also sells toys and books with over 30,000 items. There is something for everyone! This coming weekend (Nov 14 – 16) is the Great British Switch when comparethemarket.com is encouraging those aged 65 and over to see how much money they could save on their energy bills this winter by switching to a new supplier. Research suggests that around 90% of those aged 65 and over have never tried to switch energy supplier, despite the fact that a typical household can save up to £350 a year by switching energy suppliers. My husband switches regularly as the best deal one year doesn’t mean you’ll be on the best deal next year when the deals change. 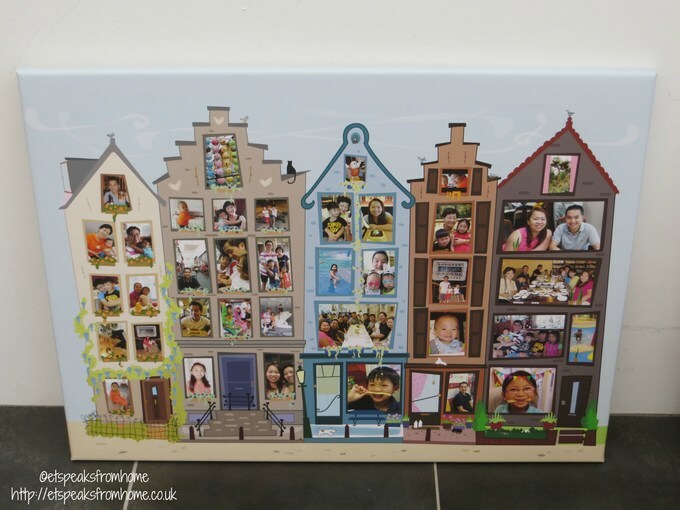 I was so thrilled to receive my Home Sweet Home photo collage from Easy Collage that I uploaded a photo of it straight away to Facebook. I was excited to see that all my Facebook friends loved it too, and my Singapore friends wanted to print one too. Love a toy box for storing all sorts of junk and love a desk for playing or learning? Kidsplaykit sells this ingeniously designed flower toy box and desk serves both these purposes. It is a desk and a play table, making it perfect for those with limited storage space just like us! In addition to this gorgeous pink flower toy box theme, they also have a dinosaur and race track themes which is more suitable for the boy’s room. Jakes Shoes is a family run business and they have two stores in Manchester and Cheshire. They have a wide range of ladies shoes, men’s shoes and children’s shoes sourced from around the world and include all the top brands such as UGG Australia, Vans, Converse, Hunter, Lelli Kelly and many more. Do check them out. This is Lelli Kelly LK8240 Nicole Dolly School Shoes in black patent and G width fitting (wider fitting). If your child does not have wide feet, you might try normal F width shoes from Lelli Kelly. The shoes also come with the latest Lelli Kelly toys: light up headband, bracelet and toy phone. It also come in the famous rose covered box. If these shoes are a gift, you wouldn’t need to wrap it up as the packaging is very well presented. Club Penguin is the #1 virtual world for children and has been around since 2005. Club Penguin, a snow-covered, virtual island populated by colourful, animated penguins, is known around the globe for its unwavering commitment to providing a safe online experience by using filtering technology and live moderators that doesn’t compromise creativity or fun. Players create their own personalised penguin and waddle around, interact with friends and engage in a variety of fun games and activities.